Acting on a tip-off about possible lack of transparency in the tender for contractor for reconstruction of the Vilnius Concert and Sports Palace, Lithuania's Property Bank has terminated talks with the winner – the consortium of Irdaiva construction company. Documents available to BNS show that a member of the tender panel was employed both at the Property Bank and the company, which could have influenced the results of the tender. Doubts about the tender have been repeatedly expressed by the Public Procurement Service. Its chief Diana Vilytė says that the tender looked suspicious and not transparent from the very start. "Members of the earlier government wanted the palace to be ready by Feb. 16 of 2018. The celebration of Lithuania's 100-year anniversary is linked with revamp of objects. (…) The Public Procurement Service has voiced its suspicions about possible lack of transparency in the public procurement of contracting work after assessing the purchase, however, the conclusion was not taken into consideration. The Financial Crime Investigation Service had to make seizures and send letters to open everybody's eyes," Vilytė told BNS. Lithuania's Finance Minister Vilius Šapoka has promised to continue keeping a close eye on the operations of the Property Bank. He told BNS that the Vilnius Concert and Sports Palace reconstruction contractor tender had to be terminated. "The tender had to be terminated, this is exactly what we did. The property bank must do everything possible to prevent this from happening again, and it should also note the gaps of its internal control system," the minister said on Friday. Earlier on Friday, the Property Bank announced termination of the reconstruction contractor tender announced last spring, as the Financial Crime Investigation Service established that one of the members of the tender panel was employed both at the Property Bank and the Irdaiva constructor. 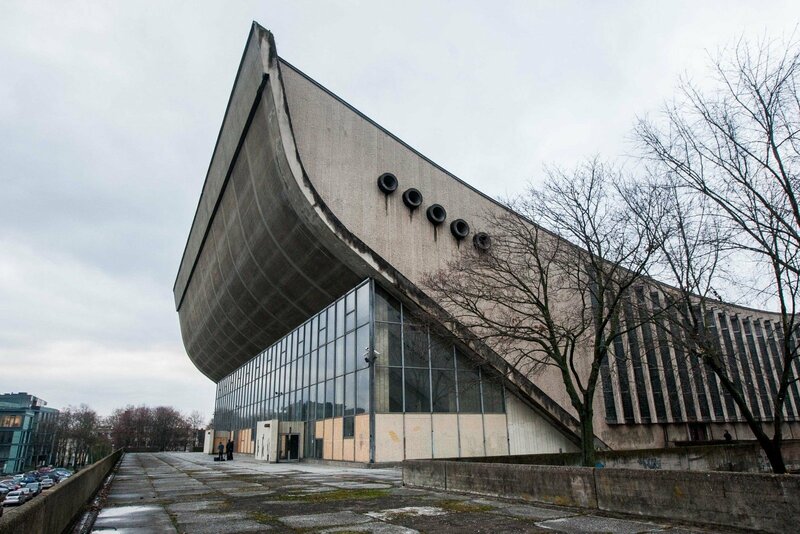 Built in 1971, the Vilnius Concert and Sports Palace hosted the congress of the Lithuanian Sajudis liberation movement in 1988. The building was listed as a cultural value in 2006. The Concert and Sports Palace has been built in the location of an old Jewish cemetery. Some ultra-Orthodox Jewish rabbis urged the Lithuanian government in 2015 to cancel the reconstruction plans, saying it could transgress the former cemetery. Meanwhile, the Jewish community of Lithuania and the Committee of Preservation of Jewish Cemeteries in Europe had no objections to the project, saying it would not commit an offence against the burial site.